You have seen holographs in science fiction and imagined how great it would be to watch a movie or TV in that form. But science fact has not been able to match what science fiction has been able to do for decades. Until recently. Advances in 3-D projection are making it possible for holographs to go from science fiction to science fact. Not to be mistaken with a hologram, which is a flat image that looks 3-D, a holograph is an actual 3-D projection of an image. And this technology is rumored to begin to be available as early as 2017. The 3-D TV market ended up being a bit of a flop, with the technology never really making it far outside the big movie theaters. 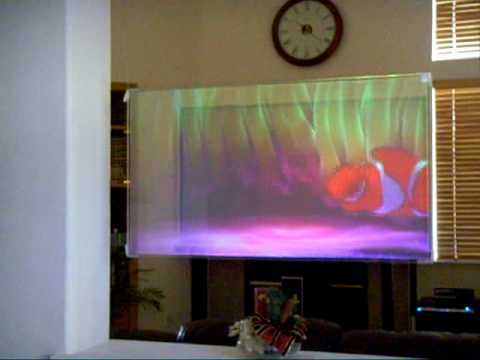 But holograph TVs are going to make another run at bringing 3-D television to the masses. Light, the basis of everything we see, is not a solid thing. It can be projected onto something solid, but the image is still only two-dimensional. With a holographic TV set, the image will be projected in such a way that it appears to take up three dimensions in space in front of the viewer. The ability for technology to project light in a certain way has advanced because researchers and engineers know that it has a huge potential for marketing. While holographic TVs will be expensive, they will provide a television watching experience unlike anything else. People are always looking for the latest and greatest in home entertainment. 3-D TVs were not so successful because of the glasses that need to be worn in order for the image to be 3-D. But holographic TVs will not require glasses, the image will be projected in 3-D right in front of the viewer. The TV and movie watching revolution is coming, and it is coming soon. If you are an early adopter of holographic TVs, expect there to be bugs. But you will be getting in on the ground floor of something that people have been waiting for since TV was invented: a true 3-D viewing experience.